Central Truck Sales is a utility and fleet equipment manufacturer and dealer. 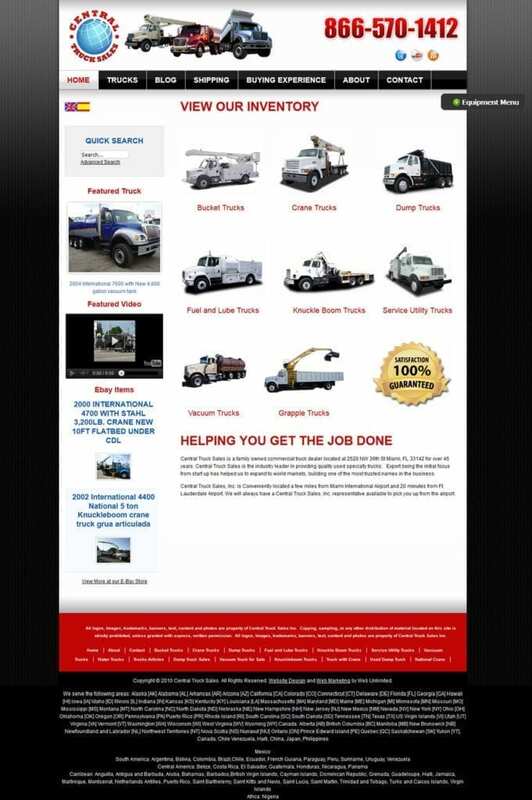 Located in Miami, Fl., Central Truck Sales started as a used equipment dealer. CTS is now a well-known national brand with international reach. They are also the only manufacturer in the world that makes dumping vacuum trucks. After working with the Web Unlimited team, we have an amazing new web home and a new outlook on marketing our business. We have learned so much about web marketing and new ways of finding new business.